Car Cash Point will lend from £500 - £50,000 at market leading interest rate. We are experienced in valuing all types of vehicles and equipment. With penalty free redemption and the ability to make overpayments and pay less interest, a Car Cash Point loan will provide you with the ultimate flexibility. We also check our competitor's rates to ensure that we are never beaten on price. 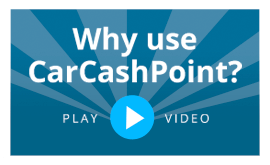 With no formal credit checks or additional security required, simply email sales@carcashpoint.com with your personal details, vehicle description and we will provide you with a no obligation quotation. If you prefer to speak to one of our specialists, please call 0333 220 4419.